Turkey and stuffing casserole is a great way to enjoy leftovers from Thanksgiving dinner. There always seems to be more turkey than people at Thanksgiving dinner and that's just the way it is supposed to be. No one wants to run out of bird on the one day of the year when it gets to be center stage and the highlight of the table. If things go right, you will want to have more turkey than you have people and the leftovers are just begging to be used. You can take the turkey carcass, the giblets, and what have you and make a fine soup. Turkey salad sandwiches and fresh turkey endive salad with homemade dressing are always winners. But what if you live where the weather gets colder around Thanksgiving? Then a warming and welcoming turkey and stuffing casserole recipe is the way to go. After you have served the turkey, you should get the bird into refrigeration. This does several things. First, it keeps the carcass away from guests and their picking fingers. I don't mind feeding my guests, in fact, it's what I do best. But, I prefer if they don't pick at the carcass. I am a bit of a stickler for sanitation. You want to get the bird into the chiller quickly to keep the bacteria from having too much fun. A cooked bird hanging around at room temperature is a great place to grow very bad bacteria. Once the turkey is properly cooled, the meat will be easier to remove from the bones. If you are pulling out your turkey and stuffing casserole recipe, you will want to be able to cut the turkey into bite sized cubes with ease. If you can save some gravy, all the better. 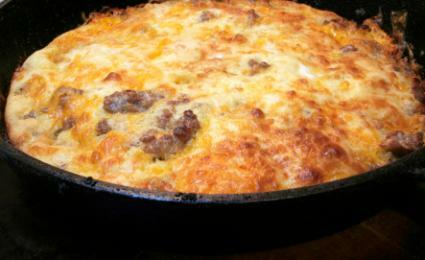 The problem with most casseroles made with leftovers is that no matter how fresh and juicy the meat was when it was first served, it can dry out after a second cooking. Considering that this casserole also has stuffing that will also absorb a lot of liquid, we want to add as much liquid into the dish as possible. Whenever you are adding liquid to a recipe, be sure to consider if the liquid will add flavor or diminish it. Water has a tendency to make things, well, watery. So want we want is anything with flavor to add to the casserole. Gravy from the dinner is a great start. Other good ideas are any cooking liquid from the turkey and turkey stock if you happen to make some with the carcass. We will be putting this into a 2-quart casserole or oven safe dish. If you happen to have fresh homemade cranberry sauce, the kind where the berries are still mostly whole, then adding a bit of that to this recipe would be delightful. Mix the gravy and the Crème Fraiche thoroughly in a bowl. Add the stuffing to the bottom of the casserole. Press it down gently to set it, but not so hard as to pack it too tightly. If you are using the cranberries, add them now. Add the diced turkey to the dish. Pour the gravy/Crème Fraiche over the casserole. You can also add any other leftover vegetables you happen to have around, for example peas, if you like.